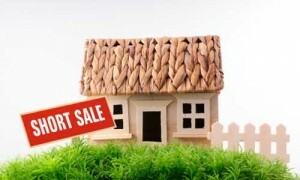 What is a short sale for va homesWhat is a short sale? Do I have to be behind in my payments? Will I have to make mortgage payments during my short sale process? Will it cost me anything to list my home for a short sale? How long is a short sale? Will a short sale allow me to avoid foreclosure? Will I have to pay taxes or receive a 1099 for debt relief? A short sale is also known as “sale in compromise”. A short sale is when a bank will accept an offer on a house that is less than what the current owner owes on the property. Short sale’s are usually listed for current market value and the offers are subject to the approval of the bank. The bank essentially has to approve the offer and agree in writing to take a loss and possibly losing thousands of dollars. If you are in foreclosure a short sale is definitely an option for you. No. A short sale will show as a settlement paid rating on your credit report. However, this “paid mark” may show late payments, and may indicate the balance was not paid in full. This alone will cause a decrease of your credit score. However, if you make your other monthly debt payments on time, it will not lower your score as much. No. However, you do need to have a financial hardship. A financial hardship may include 1) an increase of housing expense as a result of a PCS, job transfer or move; 2) an increase of your mortgage payment (either now or in the near future); 3) a loss of income (or reduction of income); 4) a need to move to suitable housing; 5) a medical need; 6) any other reason considered acceptable by the United States Department of Veterans Affairs. Yes. The VA Home Loan Centers guidelines allow a purchase 24 months after a short sale. Unless the home is sold using VA HLC HAP. In this case, the loan will be paid in full and you can use your VA eligibility immediately. However, the final loan approval is subject to underwriting. Yes. A foreclosure will remain on your credit report for up to 7 years. A foreclosure shows an inability to work with your lender. Other lenders in the future will look down on a foreclosure, while a sale in compromise (VA Loan short sale) is looked upon more favorably. If you are unable to make your mortgage payments, your chances at a successful short sale are improved. However, you are contractually obligated to make your payments. The VA HLC HAP short sale will not repay missed payments. If you have missed payments, you will have to repay those before you can re-use your VA home loan benefit. However, if you short sale your home using a VA HLC (non HAP) Short Sale, you may not have to pay missed payments. Maybe. Agents referred by VA Home Loan Centers will never charge you out of pocket for representation if you need short sale assistance. However, many listing agencies and brokerages not certified by VA Home Loan Centers may charge you contract fees, processing fees, MLS fees and other costs. If you have only one loan on your primary residence, and you use the VA HLC HAP or VA HLC (non HAP) short sale program, VA Home Loan Centers will guarantee that you do not have to pay a fee to list your property for sale. It depends. There is marketing time involved and each area has fluctuations. Some short sales can last beyond 12 months. Others less then 90 days. Yes. Most lenders will delay foreclosure if you list your home. This will give you extra time to use as necessary. Most likely you will not have to pay taxes on the debt relief. According to the IRS, if the value of your assets is greater than the value of your debt, you will be exempt from the tax liability for debt relief. In addition to this, if you short sale your primary residence, you are also exempt from the tax liability. If you are an active duty, retired or service related disabled military personnel or a civilian DOD employee, you may qualify for mortgage assistance for veterans. In this case, you will receive free military mortgage / VA foreclosure help at no out of pocket cost to you. You do not need to have a VA loan to apply. You do however, need to have prior military service or be employed by the Department of Defense. To apply for for the foreclosure help for military program, call 888-573-4496 option 2.